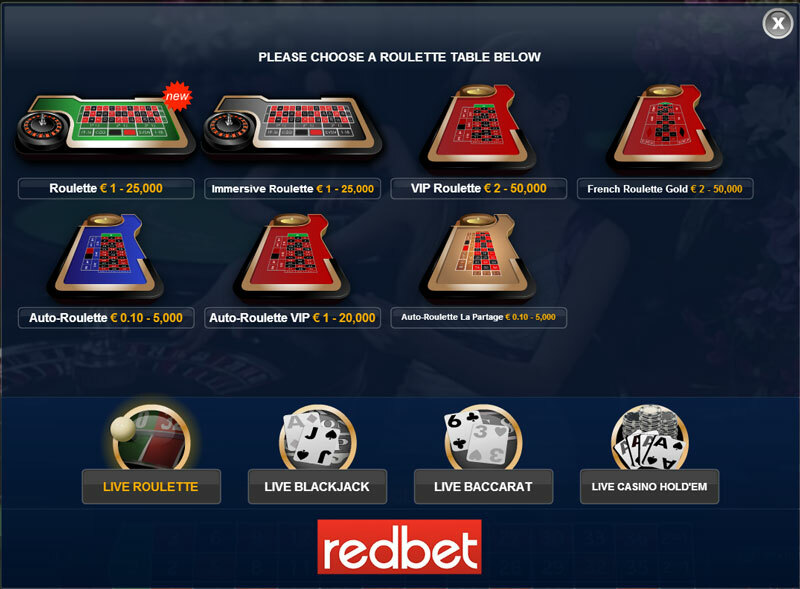 Redbet provide live roulette players with plenty of variety from its two live casinos. 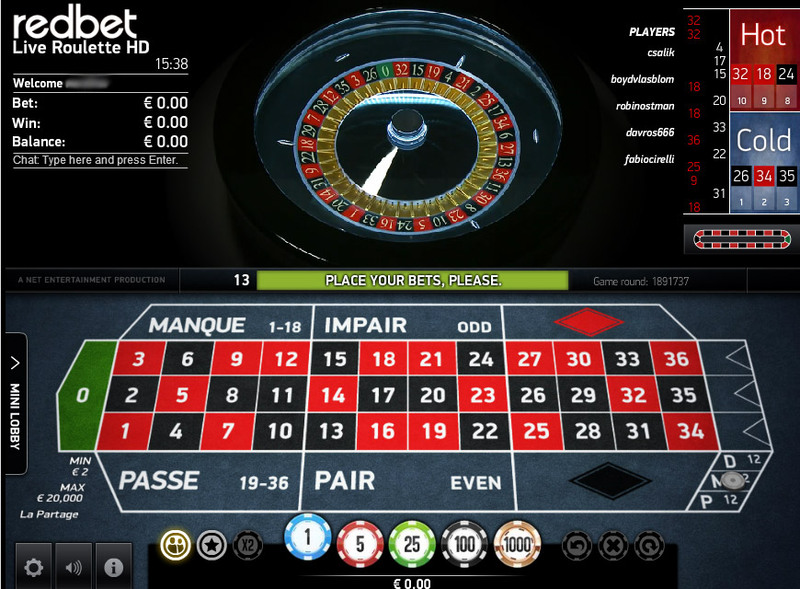 Being one of the few casinos to offer the La Partage rule swings massively in their favour. Fast withdrawals are the norm, but watch out for fees on some deposit and withdrawal methods. 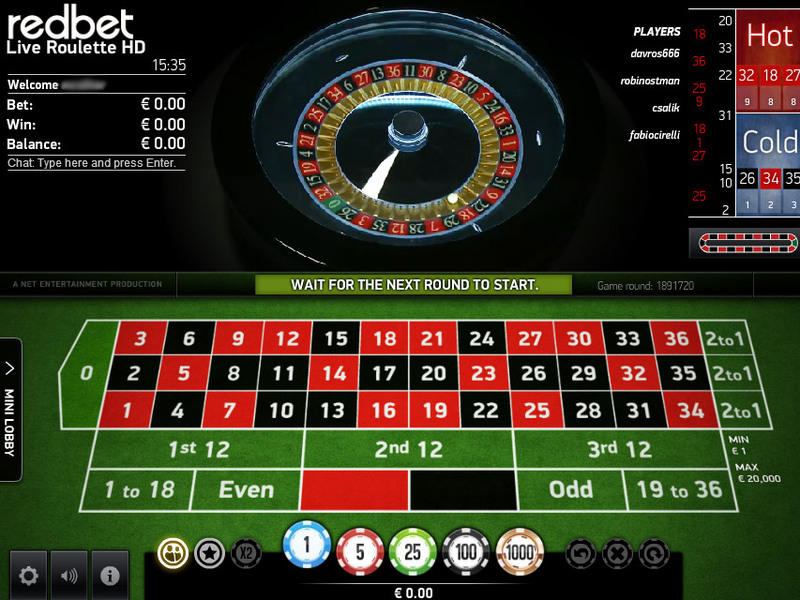 There are two Redbet live casinos that offer live European Roulette. The Evolution powered Redbet Live Casino and a very good Net Entertainment live casino called Casino Red. 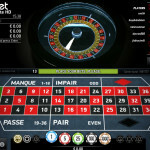 One of the unique selling points is that the La Partage rule is available on both Live and Automatic Roulette at Casino Red and French Roulette Gold at the Live Casino. 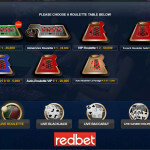 Unlike the live casinos at Unibet, Redbet have opted for just the generic table solutions from each of the software providers, which means they only provide English speaking dealers on shared tables. This isn’t a problem though as you will always get a seat at one of the single or multi player tables. 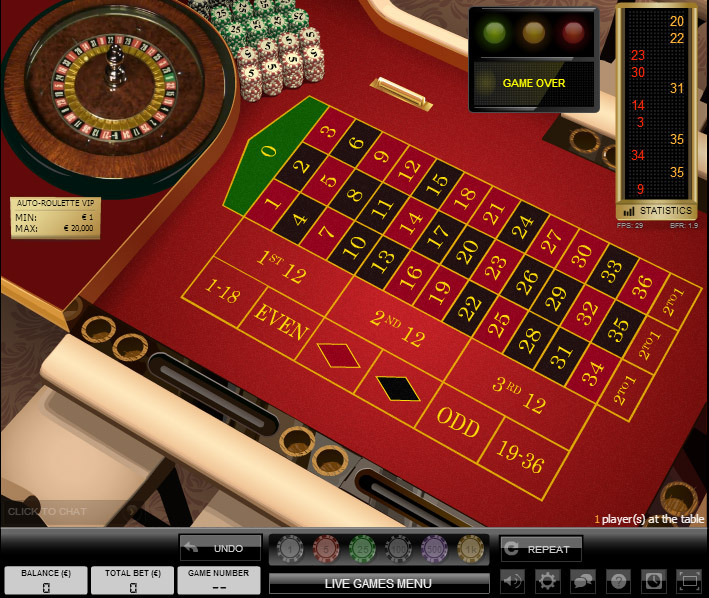 You’ll need to register before you can view either of the Live casinos. The registration process only takes a few minutes and then you’re in. 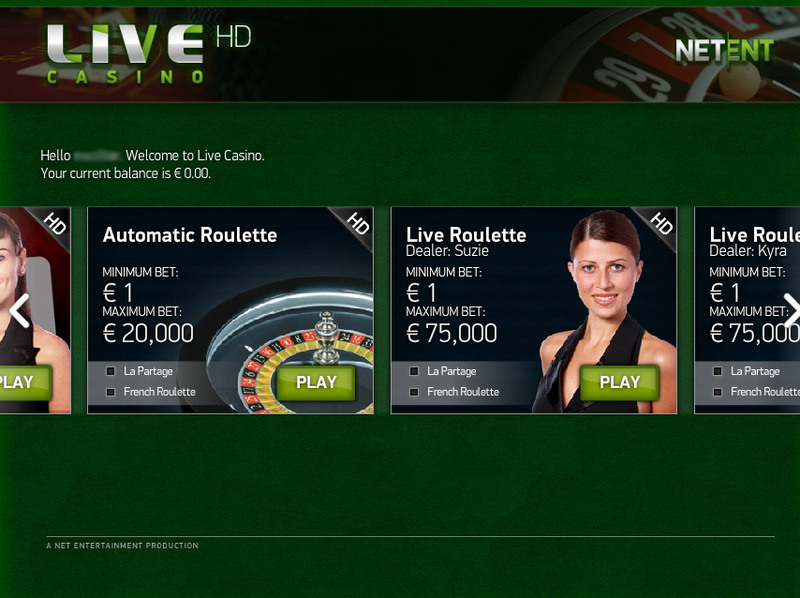 No deposit is needed if you just want to have a look around and you can load up any of the Live Roulette games, view the dealers and click round the options. Betting limits are good across both of the casinos. 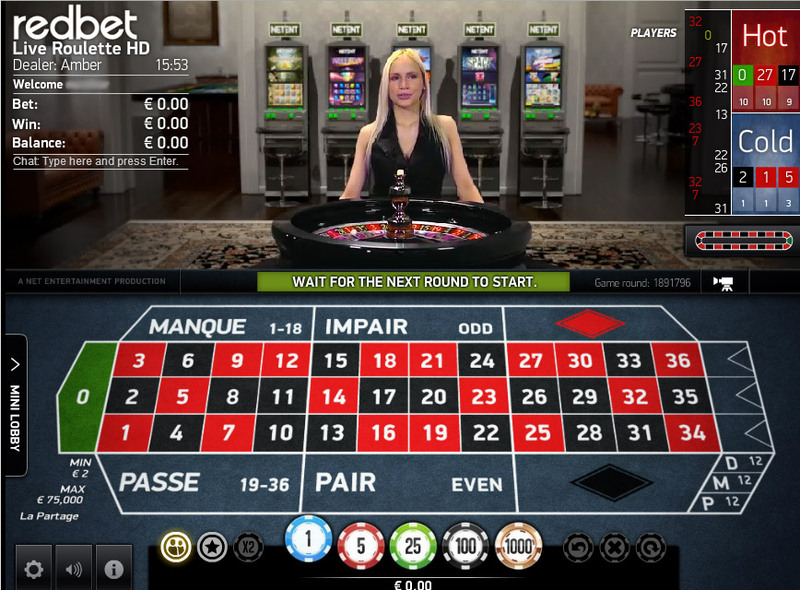 If you select the La Partage rule at Casino Red, you will notice that the minimum bet goes up from 1 to 2, this is the only difference you will notice. 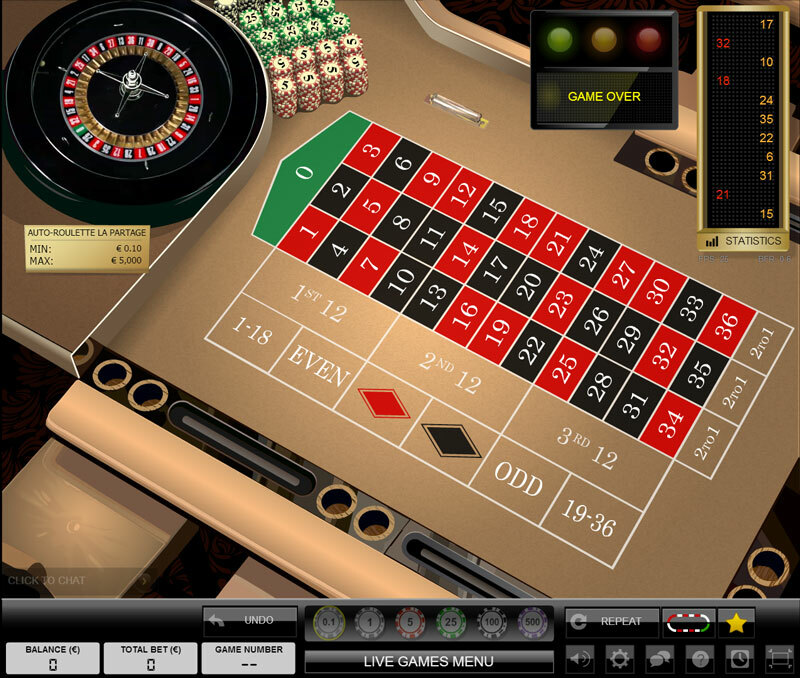 The Evolution software is very easy to use and the player interface has everything you need. You have the ability to change the viewing display and the settings for player chat, the video quality and auto zooming into the wheel when it’s spinning. 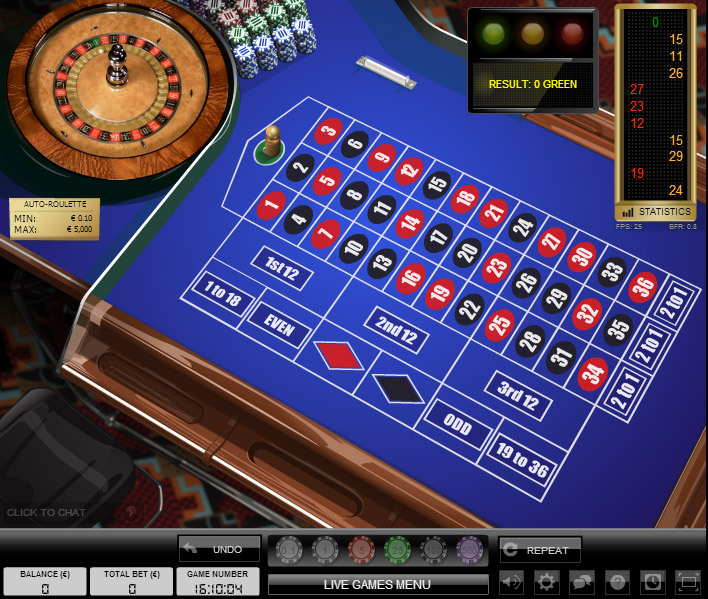 Spin stats are recorded and displayed on screen and you can view more detailed stats of the last 500 spins by clicking on “Statistics”. 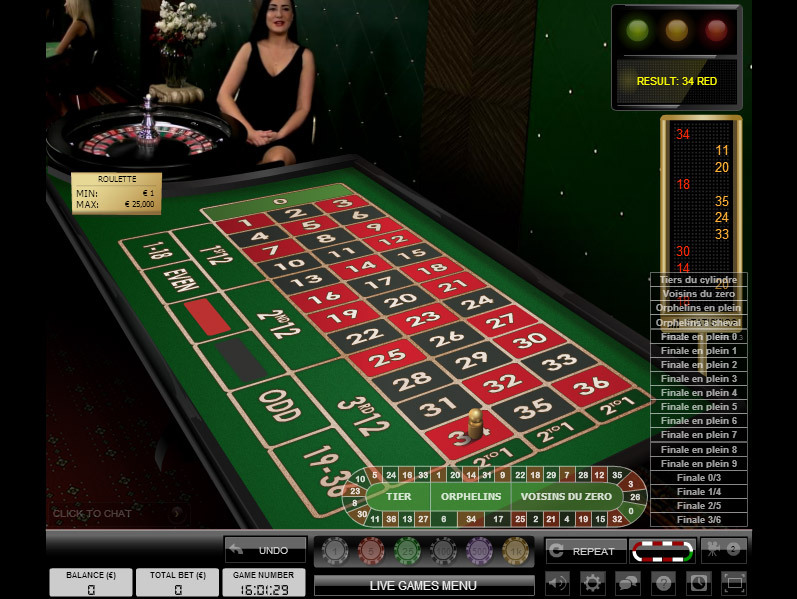 An good stable mate to the Evolution Casino is Casino Red, powered by Net Entertainment. The software interface has a totally different feel from the Evolution software. It has a very modern look to it. 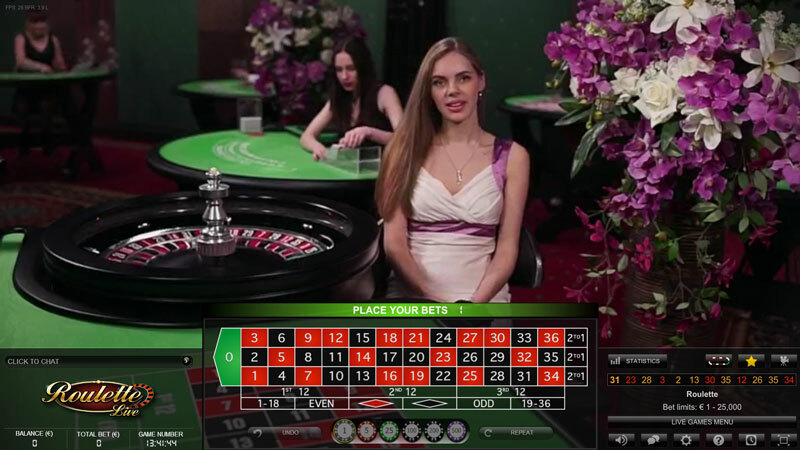 The tables are the generic ones, where you share the dealer and wheel with players from other live casinos, but to be honest, unless the dealer says something you would never know and it has no bearing on the games being played. 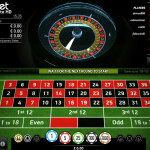 The most important aspect is that the La Partage rule is available on all the live roulette games. This is where you get back half your stake if you have placed an even money bet and the spin lands on the Zero. For advantage players this is very important as it reduces the house advantage slightly. 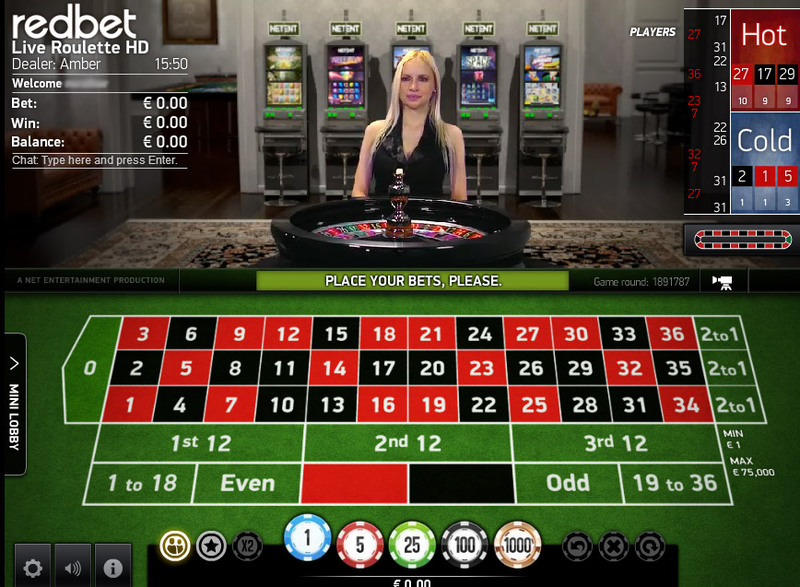 You can adjust the settings on the playing interface and can alter settings for sounds, video quality, music, chat, player lists & chips and the viewing of the wheel when the result is in. Spin History is not as detailed as the Evolution version but sufficient for most players purposes. There are plenty of Deposit and Withdrawal methods available. You can view the detailed list at the top of the page. One thing to note is that there are fees for some deposit and withdrawal methods, so check before you use your credit card as there may be a better option! Withdrawals are quick and normally processed back to your deposit method within 24 hrs. Some are processed much sooner but this is dependent on the value and the normal checks that are performed to conform with money laundering laws. 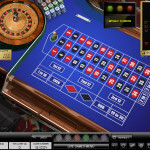 On the slightly negative side you will find that your wallet is not shared across the various casino products, so you will have to transfer funds from one product to another if you want to play them. They have a nice little interface to do this, but it’s a bit of a faff. As I write this there is no bonus that can be played on table games. 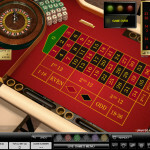 However loyalty is rewarded and you can get free spins on slots. 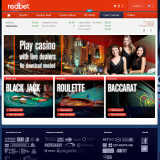 Redbet have been about since 2002 and are owned by a Swedish company. 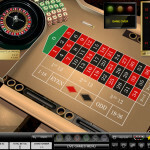 They are licensed out of Malta and command a good reputation across the player forums having won some major player awards for the best online casino. Support is available using chat, email and telephone. 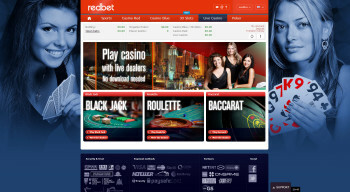 Redbet are more geared up for English and Nordic speaking countries and their support staff can speak multi languages. Support is not available 24 x 7, with English and Swedish support available over 7 days a week between 09:00 & 01:00. Support for Norwegian speakers is Mon – Fri 10:00 – 19:00 and Finnish Tue to Sat 10:00 – 19:00.